A number of good short story collections came out in 2017, announcing afresh the new sensibility of Hindi writing. In growing darkness of our times, it is the light of letters that gives us hope and courage. 2017 saw a number of books undaunted by such darkness, even challenging it in both subtle and direct ways. At the age of 92, veteran Hindi writer Krishna Sobti wrote her biographical novel Gujrat Pakistan Se Gujrat Hindustan. Of course the novel has nothing to do with contemporary Gujarat; its roots lie in the period of Partition when millions were killed, displaced and compelled to leave their countries, trying to settle and relocate themselves somewhere in two newborn nation states – India and Pakistan. Simultaneously, princely states and kingdoms were also being integrated into democratic processes. The ambitions and consequent conspiracies of palaces were at their peak. In this atmosphere, the young Sobti goes to Sirohi to become the governess to the young prince Tej Singh and his sister; and finds herself amidst a power sharing battle. Sobti has written the story in her typical style, mixing different dialects and creating a sublime impression. She was awarded the prestigious Jnanpith Award recently. Mamta Kalia’s Culture Vulture was another welcome arrival of the year. She has a rare gift of insight and wit which is always reflected in her writings, and this novel is no exception. Although it has been serialised in the prestigious Hindi magazine Hans, it is available as a complete book now. She was awarded with the prestigious Vyas Samman. Master storyteller Manohar Shyam Joshi had left a number of manuscripts behind at the time of his demise. This year saw the publication of Kissa Paune Char Yar and Ek Pech Aur. These reminded us of his charismatic style, although they are far from the quality of masterpieces he has earlier written. At the international book fair, some Hindi books sold like hot cakes. Shazi Zaman’s novel Akbar was one of them. It is a well-researched and perhaps the most authentic fictional work on Akbar in Hindi. Naturally, it got a warm welcome, but a lukewarm response from critics, who complained that it lacked a fictional perspective. Mrinal Pandey’s Himuli Heeramani Katha is an interesting experiment in storytelling. In her well-known classical linguistic style she creates a folkloric story with strikingly distinct contemporary motifs. While going through the novel, we can easily understand the subtle criticism of economic steps like demonetisation and GST and a clear-cut reference to crony capitalism. The other important novels of 2017 include Sanjay Kundan’s Teen Taal, Rakesh Tiwari’s Fasak, Indira Dangi’s Rapteele Rajpath, Geeta Shree’s Haseenabad and Bhagwandas Morwal’s Sur Banjaran. Left to right: Gujrat Pakistan Se Gujrat Hindustan, Akbar, Chhabeela Rangbaaz ka Shahar, Nyoonatam Main. A number of good short story collections came out as well, announcing afresh the new sensibility of Hindi writing. Praveen Kumar’s collection, Chhabeela Rangbaaz ka Shahar, may be called the achievement of the year. The short story is in fact a novella, depicting the complex irony of a small town in the era of globalisation. Kumar is able to capture the multi-dimensional tragedy that is taking place in a system which carries the feudal decadence of the past along with the so-called democratic arrangement and the market-driven globalisation of the present. Books like Akanksha Pare’s Bahattar Dhadkanen Tihattar Arman, Pankaj Mitra’s Vashinda@Teesari Dunia, Geeta Shree’s Download Hote Hai Sapne, Sanjeev Chandan’s 546vin seat ki stree and Pritpal Kaur’s Ladies Island also deserve a special mention. The world of poetry this year witnessed a number of good collections. The veteran poet Vishnu Khare came with Kuchh Anya Kavitayen. But the real achievements were the new books of relatively younger generation which may claim to be the descendants of great modern Hindi poetry. 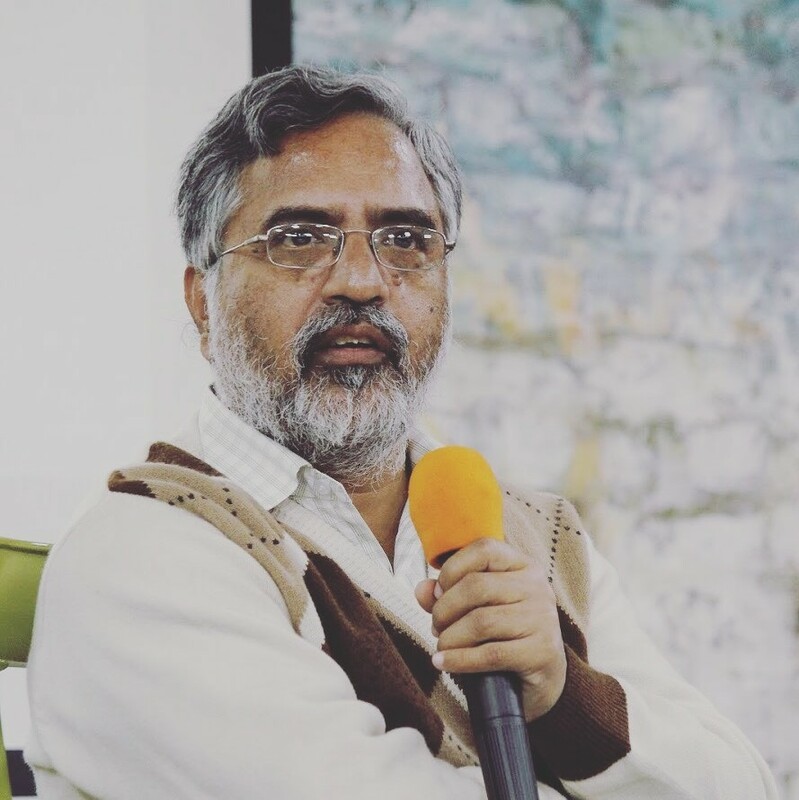 R. Chetan Kranti’s collection Veerta Par Vichalit creates several new poetic idioms capturing the brutal irony of our times with a great mix of anger, satire and melancholy. Avinash Mishra’s collection Agyatwaas ki Kavitayen reminds us of his intellectual depth and sensitivity, apart from his linguistic strength. Geet Chaturvedi’s Nyoonatam Main creates a mesmerising impact due to his great poetic talent. Pawan Karan is known for attacking the prevalent notions and prejudices in his poetry – his new collection Is Tarah Main is a testimony to his capabilities. A bit senior to them, Neelesh Raghuvanshi’s Khidki Khulne Ke Baad carries her usual sensitivity and deep insight. Nivedita’s Prem Mein Dar, Shefali Frost’s Abhi Maine Dekha, tribal poet Anuj Lugun’s Bagh Aur Sugna Munda Kee Beeti, Rashmi Bharadwaj’s Ek Atirikt A and Ghanshayam Devansh’s Akash Mein Deh should also be mentioned for the different and distinct voices they showcase. Apart from fictional writing, some important non-fiction books came out this year. Garima Shrivastav’s Deh Hi Desh is a travel diary of her Croatia visit which leaves us unnerved by its horrific details. Ashok Bhowmik’s Jiwanhatpur Junction is a humane memoir of the experiences gained during his professional stint in eastern Uttar Pradesh. Neelima Chauhan’s Patansheel Patniyon Ke Notes created a lot of debate and discussion this year. It is a satirical but poignant account of marriage as an institution – pointing out how its equations are tilted in favour of the husband. It evoked a mixed response. On the one hand, it was lauded for its bold expression and vigour, on the other, it was called a popular product and a kind of pulp feminism. 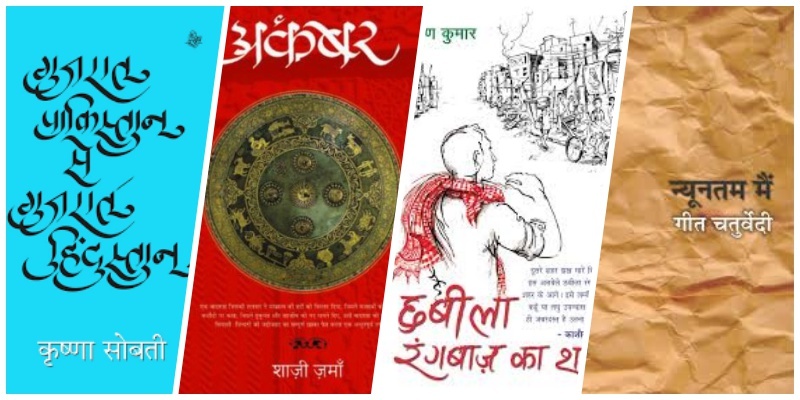 Very recently, there was Champaran 1917 by Pushyamitra, on the centenary year of Champaran Satyagraha, reminding us of the books published on it in 2017. And finally, the losses: Kunwar Narain, Chandrakant Devtale and Ajit Kumar left for the galaxy of our greatest authors who are now our permanent lights in the darkness. Priyadarshan is a Hindi novelist, critic and journalist. He has published nine books, including two short story collections and one poetry collection. He has also translated a number of authors into Hindi, including Salman Rushdie and Arundhati Roy. He currently works with NDTV India.